Slate roofs look fantastic. But, finding the right slate roof installer can be difficult. Even worse, finding a slate roof company that does its job properly can be a nightmare. Slate roof installation requires a team that has a strong skill set in this trade, to ensure that the roof is waterproof and will last the test of time. Following are 3 mistakes that many slate roofing installers make so you know what to look out for. Flashing on your roof is not as durable as slate roof tiles and may have to be replaced a few times over the course of owning the home. The slate tiles have to be removed carefully and the new flashing installed. Doing this incorrectly can lead to water leaks and damaged tiles. Your slate roofing company must know how to install flashing. Slate roofs need repairs over time. As a natural material they do break, crack and wear out over time. This may be due to a number of factors, the main one being the weather conditions. In Australia, especially with our harsh climate slate tiles can and do need replacing. 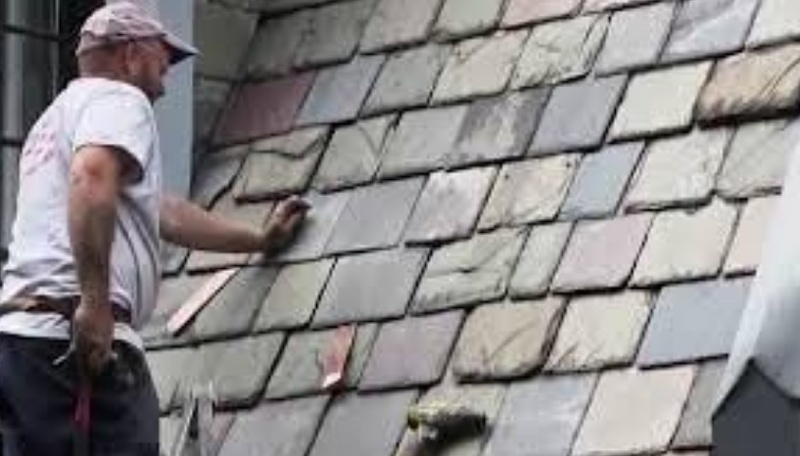 When replacing slate tiles it’s important to note that your roofing contractor must take extra care when replacing any tiles to not cause further damage or cracks in other tiles. A small crack over time can cause further water damage to your house. If you are slating your entire roof, your slates may arrive at your home in many pallets. As slate is a natural tile, there will obviously be some minor variations in colour and it is important to keep an eye out for this to make sure that these variations are not too significant. Some suppliers may even give you different types of slate, to save money, which is definitely not on. Most people will not pick this up until it’s too late so be very aware of the colour variations of slate as they are unpacked from the pallets. You should have a chat about the different types of slates, the colour variations and the properties of slate tiles before you proceed with getting slate tiles on your roof so your aware of which types are best for your roof. Many homeowners in Sydney love the look of slate but they can fall into the trap of employing slate roof tilers purely based on cost. This can lead to some serious problems late on due to poor installation techniques and a poor choice of tiles. So before you do anything talk to the team at First Class Slate. Scott, the owner definitely knows his trade better than any one else and can give you proper, honest advice.